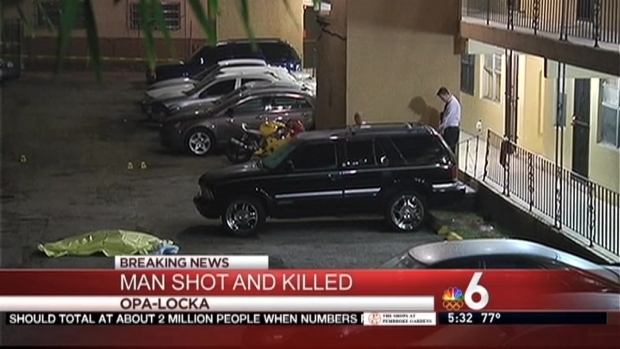 Police are investigating after a man was killed in a hail of gunfire outside his apartment building in Opa-locka Sunday night. Family members identified the victim as 25-year-old Christopher Smith, an aspiring rap artist and father of a 7-year-old girl. A man, identified by family members as 25-year-old Christopher Smith, was shot and killed outside his apartment building in Opa-locka. Father Ahie Dawson comments. "He was just here," said father Ahie Dawson, as he fought back tears. Dawson said his son had just left the apartment they share when he heard several gunshots. When he went outside, he found his son shot to death. Police said about 60 bullets were fired and they believe they may be looking for more than one gunman. Dawson urged the suspect or suspects to turn themselves in. 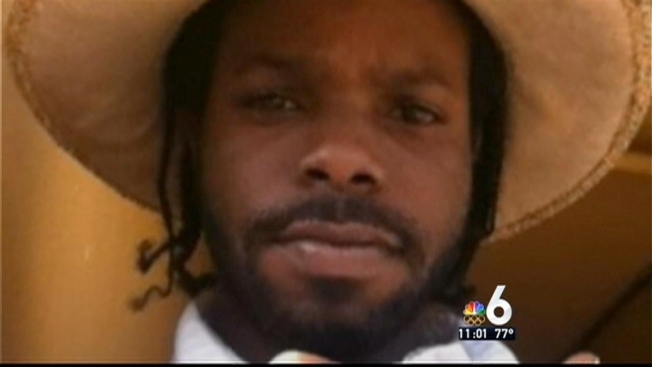 "Turn yourself in and face justice," Dawson said. "That was a cowardly act what you did, that was uncalled for."